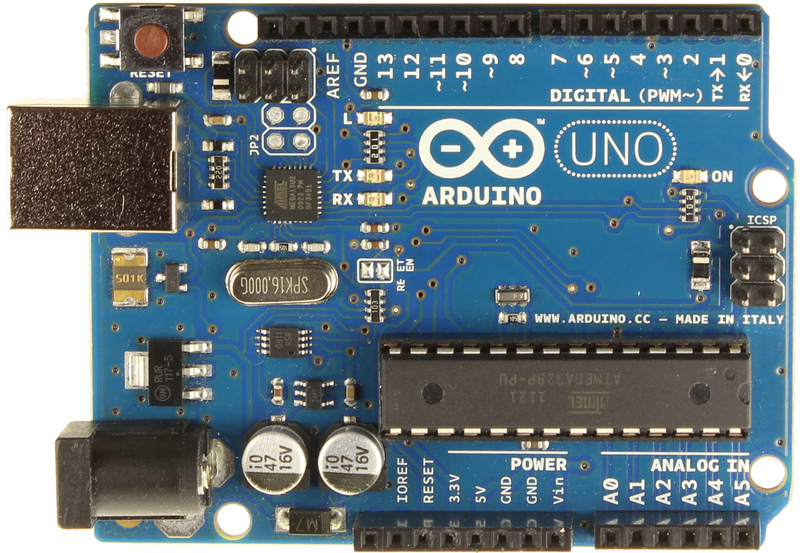 Here’s some helpful functions for Arduino. This function blinks an LED light as many times as requested, at the requested blinking rate. Back in the dawn age of computing sometimes things went wrong enough that the only way to communicate an error to the user was to blink a light. When dealing with micro-controllers this can sometimes come in handy. The following function blinks a sequence to indicate a number visually. A generalised generalised function to make use of Piezo buzzers without having to think through the math each time you want to hear a particular sound frequency. All you need to do is tell the function which pin you’d like to use, the frequency you want to hear, and the duration to play that frequency. The ATmega328 has 32K of program memory but only 2K of SRAM. Program memory is for code and RAM is for dynamic variables. Actually it’s effectively less than 2K of RAM, because the Arduino libraries will take up some dynamic memory space for themselves. The Arduino environment will happily let you compile a program that exceeds the micro-controller’s SRAM limits, however program behavior will become totally unpredictable, the code will do bizarre things and/or crash. This function will return the number of bytes currently free in SRAM. This is a version of the map function capable of handling larger positive numbers, although it fails with negative ones. The new Arduino WiFi shield is a pretty nice board. However dealing with different types of network can be troublesome. The following code snippet, will attempt to connect to a WPA/WPA2 encrypted WiFi network whose SSID is stored in the ssid variable, and password stored in the pass variable. However if it can’t find that network it will fall back and scan for open WiFi networks instead. status = WiFi.begin(ssid, pass); // Connect to WPA/WPA2 network. Code for this post was provided by Rob Faludi and Alasdair Allan. It is reposted here on the MAKE site with permission. This post was original published on May 13 2013.